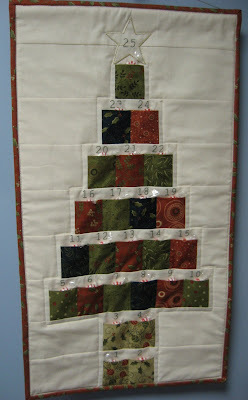 Hooked on Needles: Postage Stamp Quilt Top Finished! The Postage Stamp Quilt top is complete! 1200 two inch squares of pinks, reds, greens and white! And what a fun project this was, thanks to Rachel's easy piecing instructions and of course the use of a Moda jelly roll to start with! Doesn't this look just so delicious? I cannot even put into words how much I love how this turned out. And I was able to use up this jelly roll that I already had and some white yardage that I already had, so it fit in well with my project of using up what I have. I did have to purchase fabric for the backing and binding, which I have received and will show you shortly. But I will tell you now that I found just what I was looking for over at Allegro Fabrics on Etsy and I received excellent service from them. I love to share good things with my readers, and I think this little tip for online fabric shopping is certainly a good thing! Now I just have to piece the backing and decide how I want to quilt this project. A lot of people on the Flickr group are talking about straight line quilting along the edges of the squares or diagonally through the solid squares only or other variations. But I'm thinking perhaps a pantograph design that has hearts as the main part of the design would be so appropriate for my quilt. How would you quilt this one? oh so delicious...the fabrics, the white...just wonderful! This quilt is yummy!! I love the reds and pinks with the little pops of green here and there. 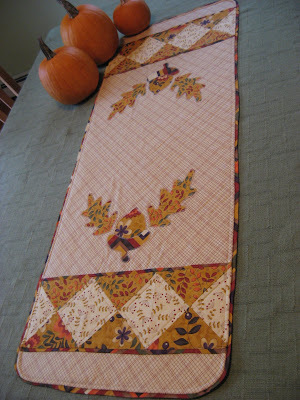 Never would I quilt it with straight line quilting, but something round and flowing. The heart quilting is a great idea. Feathers might get lost. Maybe a white-red variegated thread? I like to use them for allover quilting. your quilt is absolutely beautiful, i just luv it! you definitely need to do a heart pattern on the quilting! I did a valentines quilt in similar fabric and the quilting was called hearts and loops. Here's a link to a picture of it. Can't wait to see yours quilted! Asbsolutely beautiful - your colors are stunning.